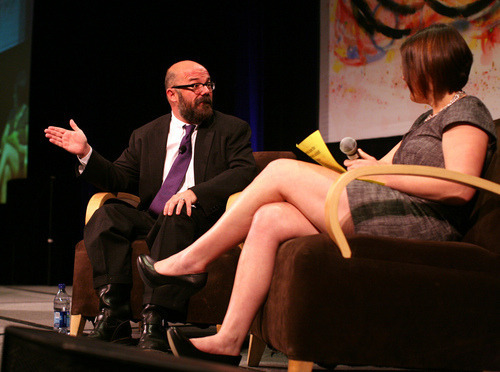 Andrew Sullivan speaks to Holly Ross at the 2010 Nonprofit Technology Conference. Credit: Chad Norman. Andrew Sullivan, whose funding model for The Dish is often cited as proof that a journalist can go solo with backing from the crowd, has decided to step away from the daily blog about politics and world news. The Dish was founded in 2000. In 2012 Sullivan appealed to fans to ask them to sign up for subscriptions. “In just two years, you built a million dollar revenue company, with 30,000 subscribers, a million monthly readers, and revenue growth of 17 percent over the first year.” Gigaom’s Mathew Ingram did a rundown of the company’s cash flow last fall. Read the full farewell piece here.